I met one of the founders of Ping.fm recently at the Gnomedex Conference in Seattle. Ping.fm is a website that allows you to update your status or micro-blogs across dozens of websites. A few weeks after my conversations with the founder, I was pleased to find out they had put MerchantCircle on their network. You can now update your status on LinkedIn, Facebook, Twitter, MerchantCircle, and any number of top sites, and do it just once! 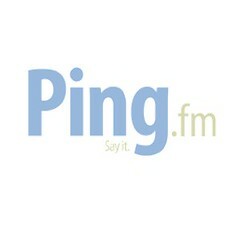 We know how valuable your time is and we appreciate Ping.fm adding us to their network. While MerchantCircle is the best for your business needs, we know many of you use the other networks for leisure, fun, or professional interests, and use the same status message for all. This will help save you time. Check out Ping.fm's MerchantCircle listing here or their website here.